Parent-supplied photos taken via smartphone cameras can allow pediatric dermatologists to make a diagnosis without an office visit in many cases, new research in JAMA Dermatology shows. 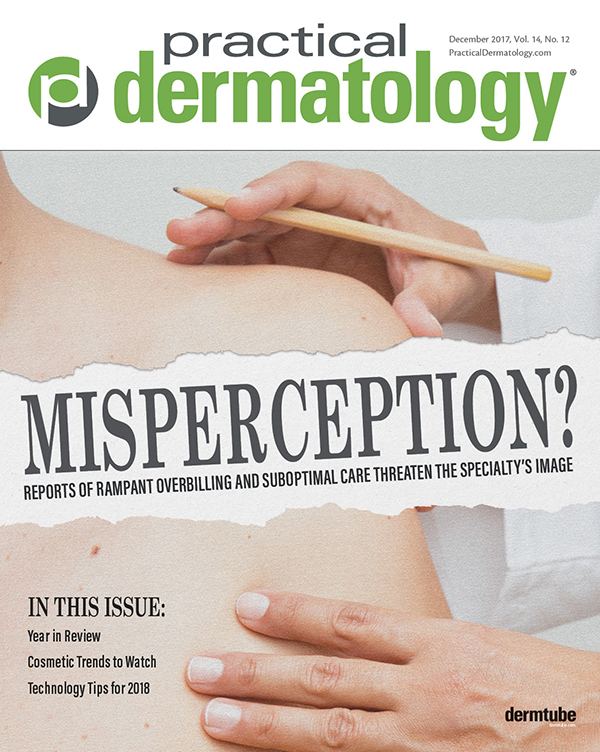 The findings suggest that direct-to-patient dermatology can accurately provide pediatric dermatology care. Water baths are as good as bleach baths for treating eczema, and they are safer, finds a new Northwestern Medicine study published in Annals of Allergy, Asthma and Immunology. Bleach baths can cause stinging and burning of skin, and occasionally even trigger asthma flare-ups in patients. 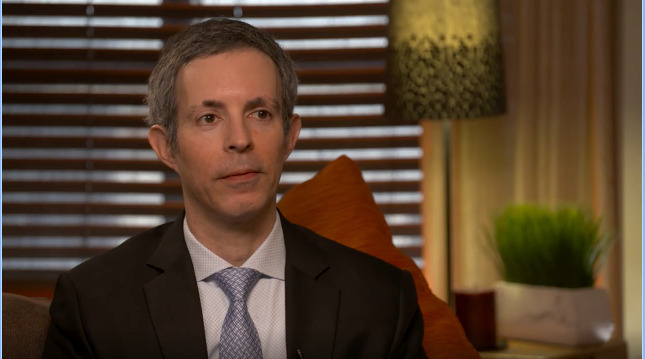 The results should encourage patients with eczema to bathe regularly, Dr. Silverberg says. Many shy away from bathing for fear that it will dry out their skin, he notes. Soap may not be necessary during water baths because it can be hard on sensitive skin, and Dr. Silverberg says soaking for 10 minutes in only water will effectively “wash away most the germs and crud from your skin.” After the bath is complete, patients are encouraged to apply ample moisturizer. Botulinum toxin injections may be about to get smarter and more comfortable as Milestone Scientific, Inc. gears up to launch its novel, proprietary cosmetic injection instrument. The new cosmetic injection instrument allows the clinician to inject accurate doses with the precision of a stylus pen that is designed for comfort and superior tactile feel. Each injection is verified with audible sound feedback confirming unit dose and each injection is documented with an electronic record. The company has completed the design process and manufactured a set of fully functional pre-production devices. In addition, they have completed a series of multi-state human factors studies with targeted customers. The first launch will take place in Europe, followed by the US and across Asia. Amgen’s Enbrel Mini with AutoTouch is now available in the United States. Awarded the Arthritis Foundation Ease of Use Commendation, this new and innovative delivery system provides an additional administration option for appropriate Enbrel patients. The AutoTouch reusable autoinjector has an ergonomic design that includes features designed with patients in mind, including an ergonomic handle, a needle designed to stay hidden during the injection, a sensor to detect placement on skin, a speed switch with three injection speeds, a progress bar, and a speaker. The AutoTouch reusable autoinjector is used with Enbrel Mini single-dose prefilled cartridges (50mg/mL) that utilize a new drug formulation of Enbrel that was associated with substantially significant lower mean injection site pain than the current formulation. Biosimilars, which have been available in the European Union since 2006, show no substantial differences in the reporting of safety information than their originators, according to a new analysis in British Journal of Clinical Pharmacology. The analysis included 19 biosimilars and six originators. Overall, 55 general safety concerns (12 low, 21 medium, and 22 highly clinically relevant) were identified. For all substances, except for infliximab, no or only one difference was found in the listed general safety concerns. Comparison of regulatory documents for infliximab identified three medium clinically relevant general safety concerns more for infliximab biosimilars and two general safety concerns more for its originator. Researchers at Florida Atlantic University’s College of Engineering and Computer Science have developed a technique using machine learning—a sub-field of artificial intelligence (AI)—that will enhance computer-aided diagnosis (CADx) of melanoma. Thanks to the algorithm they created—which can be used in mobile apps—they were able to determine the “sweet spot” in classifying images of skin lesions. This new finding, published in the Journal of Digital Imaging, may ultimately help clinicians more reliably identify and diagnose melanoma skin lesions, distinguishing them from other types of skin lesions. The research was conducted in the NSF Industry/University Cooperative Research Center for Advanced Knowledge Enablement (CAKE) at FAU and was funded by the Center’s industry members. Images of skin lesions often contain more than just skin lesions—background noise, hair, scars, and other artifacts in the image can potentially confuse the CADx system. To prevent the classifier from incorrectly associating these irrelevant artifacts with melanoma, the images are segmented into two parts, separating the lesion from the surrounding skin, hoping that the segmented lesion can be more easily analyzed and classified. Researchers compared the effects of no segmentation, full segmentation, and partial segmentation on classification and demonstrated that partial segmentation led to the best results. They then proceeded to determine how much segmentation would be “just right.” To do that, they used three degrees of partial segmentation, investigating how a variable-sized non-lesion border around the segmented skin lesion affects classification results. They performed comparisons in a systematic and reproducible manner to demonstrate empirically that a certain amount of segmentation border around the lesion could improve classification performance. Some individuals’ skin appears more youthful than their chronologic age, and now new research indicates that increased expression of certain genes may be the key to intrinsically younger looking—and younger behaving—skin. 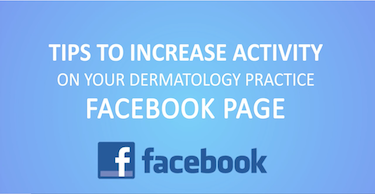 The findings appear in Journal of the American Academy of Dermatology. “It’s not just the genes you are born with, but which ones turn on and off over time,” explains lead author Alexa B. Kimball, MD, MPH, President and CEO of Harvard Medical Faculty Physicians at Beth Israel Deaconess Medical Center, who conducted research for the study while previously at Massachusetts General Hospital, in a news release. To produce a comprehensive model of aging skin, Dr. Kimball and colleagues collected and integrated data at the molecular, cellular, and tissue levels from the sun-exposed skin (face and forearm) and sun-protected skin (buttocks) of 158 white women ages 20 to 74 years. The analyses revealed progressive changes from the 20s to the 70s in pathways related to oxidative stress, energy metabolism, senescence and skin barrier. These changes were accelerated in the 60s and 70s. Comparing sun-exposed and sun-protected skin samples revealed that certain genetic changes are likely due to photoaging. The gene expression patterns from the women in the study who were younger appearing were similar to those in women who were actually younger in age. These women had increased activity in genes associated with basic biologic processes, including DNA repair, cell replication, response to oxidative stress, and protein metabolism. Merz North America’s Describe PFD Patch is now FDA cleared for all commonly used lasers for tattoo removal. The clearance extends the patch’s shelf life from two to three years. When placed over tattoos prior to removal with a laser, the patch allows physicians to treat more efficiently by enabling rapid multiple laser passes in a single treatment session. This clearance now includes use of the 532, 694, 755 and 1064 nm standard Q-Switched (QS) lasers and 532, 755, 785 and 064nm standard picosecond lasers in Fitzpatrick Skin Type I-III patients. The expanded indication allows the patch to be used with all commonly used lasers, providing the capability to remove tattoos across a spectrum of colors. The Describe PFD Patch is a single-use, perfluorodecalin-infused gel-based skin barrier and optical clearing device accessory for use during laser treatment of tattoos. For more than 30 years, Revision Skincare has provided physicians with clinically proven, high-performing skincare products. The Revision Skincare collection was formulated to provide targeted solutions for enhancing skin’s appearance and reducing signs of aging. The company is currently in a growth phase. Maria Carell, Chief Executive Officer, Revision Skincare, LLC: We receive a lot of feedback from our clients and some physicians tell us, “You are the best kept secret in the industry.” The truth is that we are, and we haven’t needed to communicate this with a megaphone since our products deliver top results. Our products themselves have truly become our best spokesperson. As our company has been growing over the years, we’re currently focused on expanding geographically, both domestically in the US and also internationally. We are putting a lot of resources in place to further educate our consumers and expand our reach. Everything that we do, we have perfection in mind, which is the reason why the company chose to own the entire value chain and not have to rely upon a third party. We take pride that we are involved in every step of the product’s development and manufacturing process. This allows us to ensure that our quality and efficacy standards of our products always reach satisfaction. In addition, this model allows us to invest our resources in our products and not in the profits of a contract development and manufacturing organization. Revision Skincare’s products are made under cGMP guidelines, meaning the facility is licensed to make OTC and pharmaceutical drugs. In fact, 100 percent of Revision Skincare products use pharma-grade water in all of their formulations. This is not common for most beauty and skincare brands with their cosmetic products. Our goal is that consumers only receive and use quality, efficacious products. The company remains focused on research. Tatiana Kononov, Chief Scientific Officer, Revision Skincare, LLC: We thrive on doing research and creating very efficacious formulations. Marketing and R&D work closely together, but R&D starts the process by identifying the science and technology that we feel is emerging and sustainable. We discount the emerging information that is more of a fad…We’re looking for true breakthroughs that are worthwhile and industry-changing. It’s very unique that a brand has the ability to provide this type of technology to medical professionals and consumers alike. Having worked at other companies that are more marketing-driven, the scientific and research focus of Revision is very enjoyable and rewarding. The R&D-centric approach is truly one of the reasons that there’s proof of our line being first to market with many sustainable industry-changing technologies. We formulate for long-term skin health, which is very important. Rather than coming out with products that would give dramatic anti-aging results over a short-term period of four and eight weeks but to the detriment of long-term use, we provide good results in the short and long-term to the benefit of overall skin health. We find that skin care users are often very loyal and like to stay on specific products for a while, and if we’re not formulating for long-term skin health, are we really helping them? Ms. Carell: Our products have a great reputation because they are quality driven and deliver top results. We work closely with our trusted physicians on the science to validate the products and to grow with our loyal consumer base. It is very critical that we listen to our credible experts about the needs in the market to develop smart skincare. We are constantly developing and sourcing new technology to provide consumers with products that deliver a new benefit. Our final product must be validated by patients and especially our physicians to make it to market. Ms. Kononov: The three products in our lines that are hidden gems are Vitamin C 30%, Retinol Complete, and DEJ face cream. The vitamin C technology we utilize, THD ascorbate, is very stable and efficacious. It is the gold standard in vitamin C technology. There is no other product on the market that provides the potency and performance of this Vitamin C 30%. In fact, Revision Skincare was the first to use THD ascorbate in the US. Our Vitamin C also contains additional antioxidants including coenzyme Q10 and vitamin E.
Retinol Complete is another hero in the portfolio. Revision Skincare is the only company that has an ingredient that boosts the effects of retinol itself, while minimizing the side effects, such as redness, irritation, stinging and burning. We formulated this product with a compound called Bakuchiol which enhances the effects of retinol and provides broad-spectrum antioxidant benefits. Many people who haven’t been able to tolerate retinol in the past are able to use our Retinol Complete product without the negative side effects. My heart and soul went into this product, because I have never been able to use a retinol and now I can with this innovative ingredient combination. The final is our DEJ face cream. DEJ stands for the dermal-epidermal junction, which is where critical communication and adhesion occurs in the skin. It is now being recognized as a very important area of the skin structure. This cream is packed with anti-aging technology and provides intense moisturization for a comprehensive and powerful approach. We’ve done clinical studies on the DEJ face cream that have been published in the Journal of Drugs in Dermatology exhibiting extraordinarily comprehensive results. The results on overall signs of aging are dramatic with patients that are using this product. The statistics featured are highly significant. We’re very proud of this work and the fact that we deliver key performing products. Products are always being updated. Ms. Kononov: We are always looking at the latest technology and evaluating it against our portfolio to be sure our products are top performing. For example, Revision Skincare’s Nectifirm was launched in 2007 and the formulation has been enhanced five different times since then. Recently, several new technologies emerged which warranted an entirely new formulation. This is how Nectifirm Advanced was created and developed. Some of Nectifirm Advanced’s ground-breaking technology included the recent developments in the skin’s own microbiome and utilizing this for anti-aging benefits. A balanced microbiome is essential to skin being able to function properly and protect itself. We’re the first to harness the power of the skin’s microbiome to visibly reduce signs of aging. Additionally, we introduced “smart antioxidant technology” with lingonberry extract in Nectifirm Advanced. This extract contains antioxidants and it also helps the skin to produce more of its own antioxidants. We’re specifically targeting the antioxidant superoxide dismutase that’s very commonly known and very beneficial for skin. This company has always been innovation-driven, and that’s something we will actively continue to do and even more so. The market can expect more innovative products coming out of Revision Skincare soon.